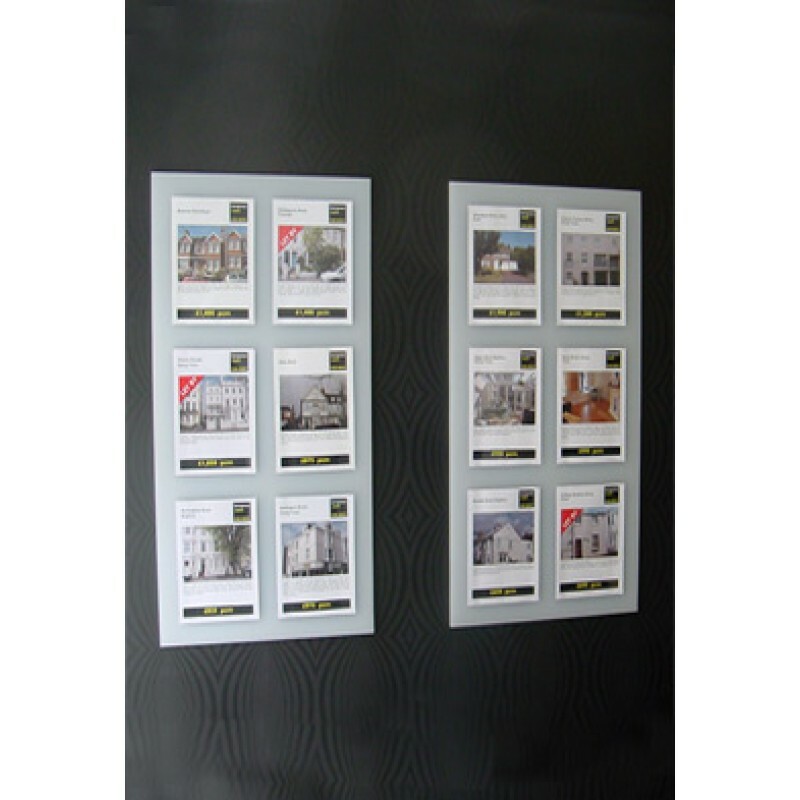 This is one of the many estate agents displays we have designed and manufactured. Our aim is to give all our customers a professional looking display with maximum visibility and an economical price. These panels are 10mm frosted acrylic with hidden fixings that bring the panel off the wall. As you can see this is very neat and eye catching.